As light sources, digital sensors and coating chamber technologies continue to improve, optical filters will naturally evolve and continue to advance. 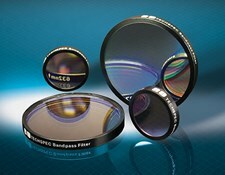 Optical filters are critical for some of the most demanding applications in automation, energy, medical imaging, security and multi-element optical systems. 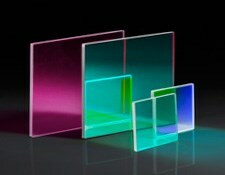 These advancements require developments on new substrates such as flexible thin-film polymers and IR-grade materials including silicon and germanium, or with new chemicals and compounds that yield high transmission and high blocking filters in the UV and IR spectrums. Advancements in coating chamber technology have resulted in higher precision filters yielding bandwidths of <1nm with tolerances of <1%, which truly pushes the limits of top of the line spectrophotometers. With each advancement, tolerances and specifications have been further optimised to better represent a precision substrate with improved surface quality, surface flatness, parallelism and transmitted wavefront. 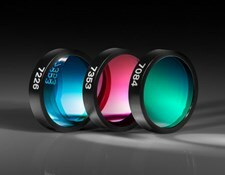 New materials, sub-nanometer specifications, deep UV to far IR spectral coverage, and various improved tolerances will continue the advancement of optics and photonics in nearly every consumer and scientific application. For many years, laser line filters have featured bandwidths as narrow as 1.5-2nm, but with new advancements in coating technology and metrology, laser line filters can now achieve bandwidths of <1nm across the visible spectrum. This precision will greatly benefit single photon, Raman and other imaging applications that detect very subtle and weak signals. Sputtering platforms used to coat filters involve hazardous temperatures, pressures and particles moving at very high speeds. Ensuring a clean, pristine and flat filter surface can therefore prove very challenging. Surface specifications such as parallelism, surface quality, surface flatness, transmitted wavefront and power or irregularity typically suffer in traditional magnetron and ion-beam sputtering platforms; advancements in these techniques will lead to filters with tighter surface tolerances.